Plankton is at it again and it’s up to SpongeBob and Patrick to stop him with the Invisible Boatmobile Rescue by Mega Bloks SpongeBob SquarePants. 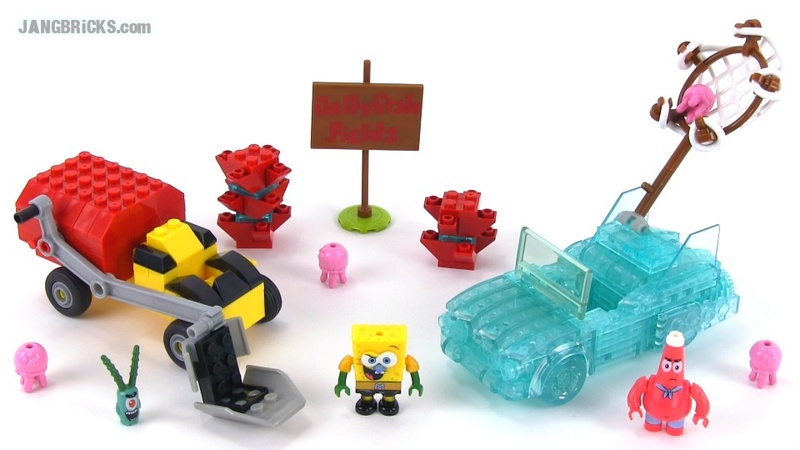 Build the Invisible Boatmobile with cool translucent blocks and take off for a high-speed chase! Help, Plankton is launching jellyfish everywhere! It's up to SpongeBob and Patrick - dressed as Mermaidman and Barnacleboy - to save them with the Invisible Boatmobile's not-so-invisible net!